Shelving. Having a library full of great materials won’t do us any good if people can’t fin d them. To that end, shelving is critical. Getting items back to the shelf as quickly as possible after they are returned is the main job responsibility of our Pages. They know our shelves inside and out, and keep them in good order. When they are not shelving, you will often find them shelf-reading, going through the shelves to make sure that books are where they should be and in the proper order. With over 100,000 items in our collection, this is no small task! Highlighting Materials. With so many items on our shelves, browsing through them can be a bit overwhelming! We often highlight smaller sect ions, whether it be small displays at the ends of the shelves, or larger separations by genre. For example, you probably know that we keep our newer materials separate from the rest of the collection, but did you also know that we separate Mystery and Science Fiction from the rest of Fiction? Or that Romance Paperbacks have their own section? Classics and Comedies are highlighted within the Feature Films DVD section. 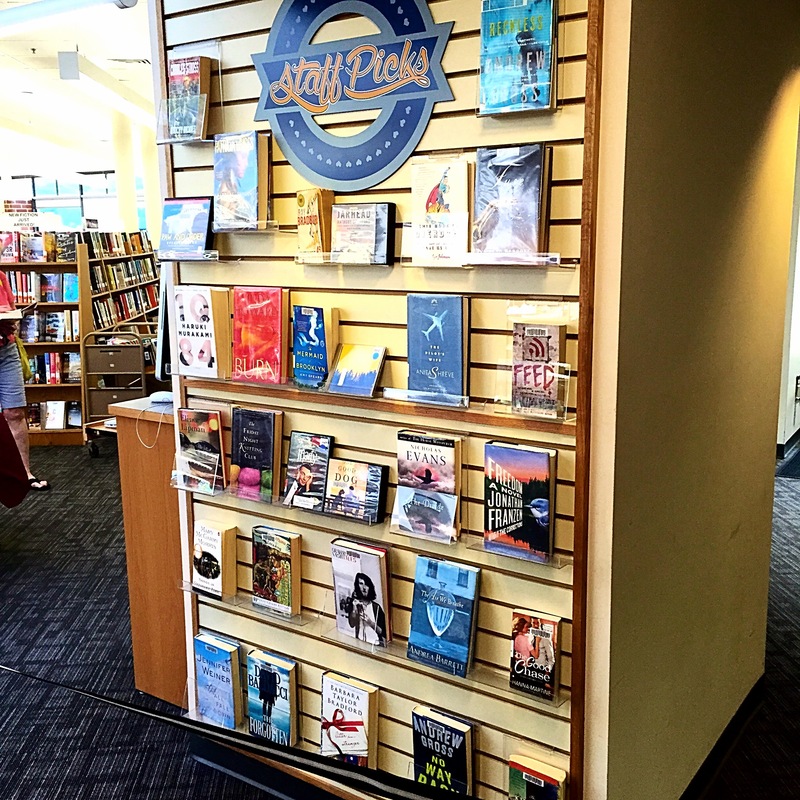 And don’t forget to check our Staff Picks section for book recommendations from our staff! Holds for Cheshire patrons are only half the story, though. We also receive requests for inter-library loans from other libraries in our consortium. A lot of them! 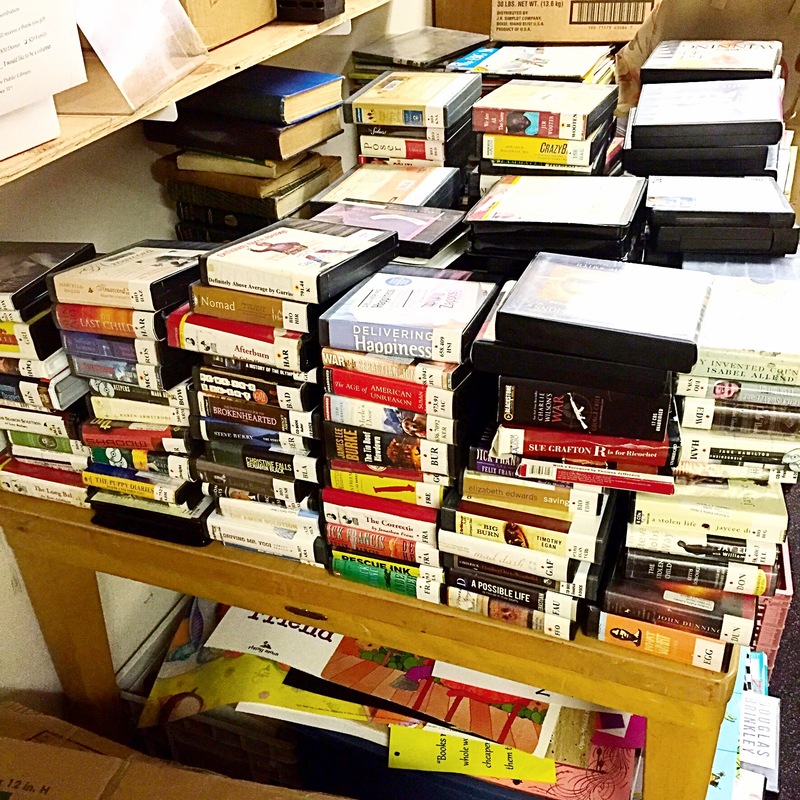 We get and receive dozens of inter-library loan items every day through the state library’s C-Car delivery system. We pull, wrap and pack boxes full of C-Car items every single day! Mending. When an item gets checked out over and over again, it can get a little worn. Pages get torn or loose, discs get scratched, cases get broken. Whenever possible, we try to fix these problems and get the items back to the shelves. Several of our staff have received training on book mending, and our A/V catalogers use a disc repair machine for troublesome CDs and DVDs. Weeding. Nothing lasts forever. 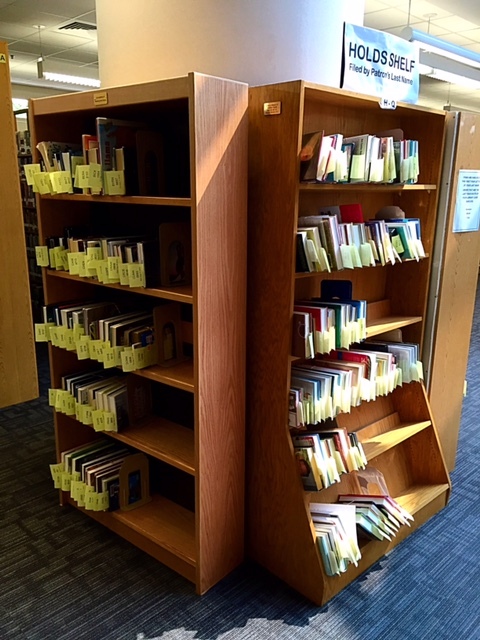 To keep adding new materials to our shelves, we must remove other materials, called “weeding”. We begin by checking the condition of older items, if they are too worn or need more repair than is practical, we weed them out. If we have multiple copies of a former bestseller, we keep the one in the best condition and weed the rest out. We run circulation reports, telling us which items have not been checked out in a long period of time (years), and weed them out. We’d love to keep every book forever, but shelf space must determine the amount of items we can offer. Many weeded items get added to our semi-annual book sale to benefit the Friends of the Cheshire Public Library, and many items get donated to charity. Of course, we’re also here to help you to search for items in our catalog, find out the next book in your favorite series, check items out and back in again, and much more. Circulation means keeping our items moving, and it’s part of everyone’s job at Cheshire Library!